What a plethora of activities we can provide to little ones once they can use headphones! Audio stories, movies on a plane, favorite music playlists, etc. But what do you do if your child refuses to keep them on and continually pulls them off? 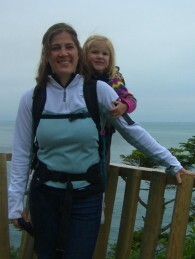 Today’s post includes a variety of ideas to help train your child before your trip. Some are of course super simple, some won’t work for your child, but keep trying several of these in your efforts. Give yourself plenty of time before your trip to repeat, repeat, repeat. A note about safety: I strongly encourage to use headphones that fit over your head and have speakers that are placed over the ears. Ear buds are not only much more uncomfortable for young kids, but are also easier for them to have permanent ear damage because of the source of the decibels being so far in the ear canal. Another safety thing…if you can hear the music someone else is listening to, then the volume is too high. Some devices have a parental lock on the max volume—this can be a preventative measure to make sure the volume isn’t accidentally turned too high. 1. Demonstrate by example. 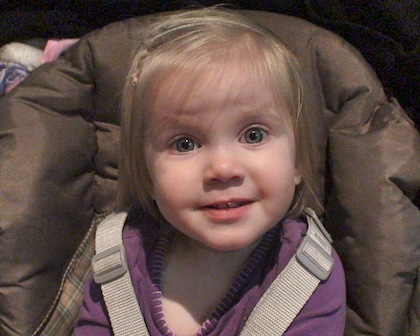 Wear headphones purposely in front of your little one. 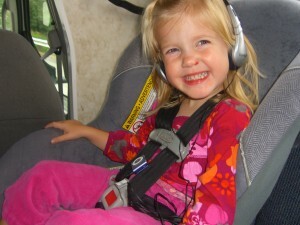 Choose a favorite song of your child, like “Wheels on the Bus” and be listening to it with the headphones. Let your child pull them off. Show her how to put them on so she can hear the music too. 2. Have extra headphones lying next to you when you have some on. Let your child explore the extra ones, hopefully observing you at the same time. This exploration might result in putting them on, or just playing with them. The idea here is to make the headphones a normal, interesting thing instead of an unknown, weird one. 3. Plug headphones into a mini DVD player, or a laptop. Put on your child’s favorite show. Model you watching the show with the headphones and loving it. Plug the two headphones into a splitter and wait for your child to want to watch too. Short practice times might turn into longer periods with repeated exposure. 4. Use reverse psychology. Put headphones down that you have been using, with the music or movie is still playing. Teasingly and happily tell your child, “Don’t listen to them while I’m gone! 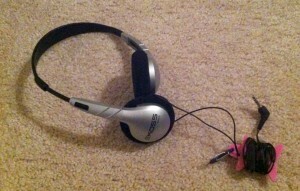 Don’t do it!” If your kids are anything like mine, as soon as you leave the room, those headphones will go straight on! 5. Make sure you have headphones that fit a child well. Part of the problem is kids not feeling comfortable when they wear them. Another product that is amazing to control the little wires is the Nite Ize Curvyman from the post No More Tangled Headphone Wires. I love using this product as well because it makes the wires much less cumbersome. 7. Personalize. Let your child decorate their new headphones with small stickers. It is always more fun to wear something you have decorated yourself. 8. Sibling example. Have an older sibling wear headphones in front of the younger one. Then, either have an extra set nearby so the younger one can mimic the behavior, or have the older sibling “gift” the headphones to the younger one (“Wow, you are getting older now. Would you like to have these?”) My littlest gets SO excited when she gets hand-me-downs, she feels so grown-up. 9. Try a new way for a bedtime story. Build excitement for a special way you are going to listen to a bedtime story that night. Choose an audio story that is about 5 minutes, and that your child would be interested in (try http://www.storynory.com). Have two headphones, connected to a splitter, along with blank paper and crayons. Introduce the different way to listen, and have your child watch you draw what you are listening to. Have an extra paper for your child to draw as well. If bedtime wouldn’t be a good time, try before a nap, or at a quiet time. 10. Buy the headphones together. Scope out the headphones available before shopping with your child. Then, go to the preferred store, show him the available headphones you’d accept, and have your child pick his favorite. Any other tips that have worked for you?